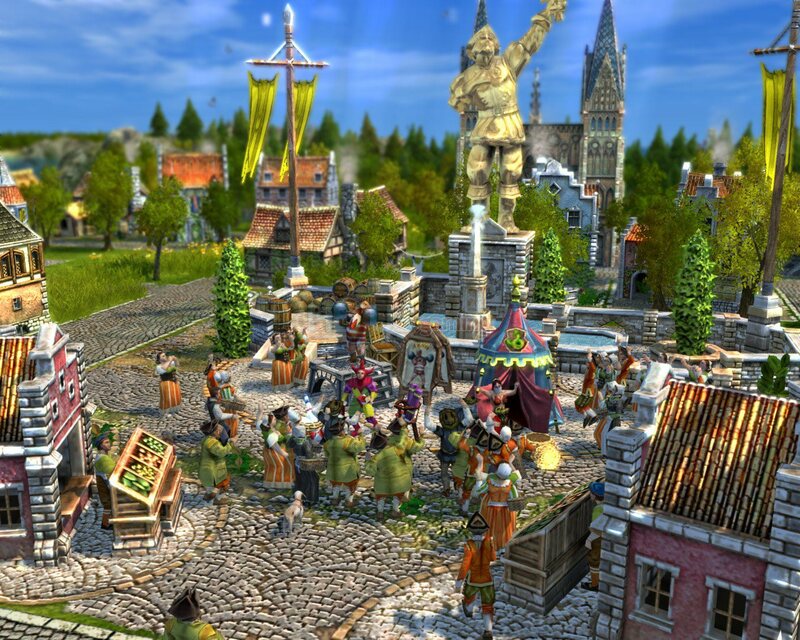 Anno 1701 features superb animations, deep strategy and an engaging story. We were so impressed with Sunflower Software's recent strategy title, Paraworld, that we thought we'd pick up another of their strategy titles, Anno 1701, to see if this game would have the same impact on us. Apart from being strategy orientated, both games are totally different. While Paraworld has a pick up and play style that's extremely easy to grasp, Anno 170 is a far deeper strategy game in which you'll need to micro-manage every aspect the empire in order to succeed. Anno 1701 is the sequel to Anno 1503, which revolved around building and maintaining a 16th century colony. Anno 1701 takes place in the 18th century, but follows the same premise as the previous games and sees you building and managing an empire in real-time. In an age of exploration and sea trade you set out to discover and explore new islands - islands which will soon be home to huge cities. Graphically it's the best in the series so far and Sunflowers have worked with the community to add new features to the gameplay. In Anno 1701 you need to build a whole community, manage it and respond to their needs in order to make a profitable and powerful settlement. 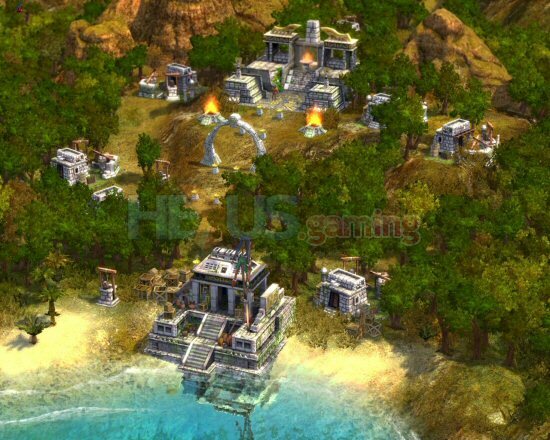 You’ll start out as a pioneer and as your settlement begins to grow you’ll rise through the civilisation levels, becoming settlers, citizens and finally merchants. As you reach each level the communities needs change and you’ll need to respond and micro-manage every aspect of the society in order to succeed. Anno 1701 is set in a time where the power of a nation was measured on the continued expansion of its territory and was dependant on its huge fleet of ships. Brave explorers set sail to discover new worlds where they could build further settlements and trade routes between their territories. Trade and growth are the key factors in maintaining a stable settlement and in Anno 1701 it’s a constant battle to juggle all of the work required to create a stable and profitable society. Gathering resources is the key to success and you’ll initially need to gather wood and brick to construct buildings and houses for the pioneers, wool for clothes and fish to feed the minions. Starting with the village centre and a small amount of resources your community will grow and as you start to make money and gather more resources, you’ll unlock new buildings, such as chapels, bakeries and cattle farms and rise up the civilisation ranks enabling you to expand on your territory and secure your future as a powerful nation.